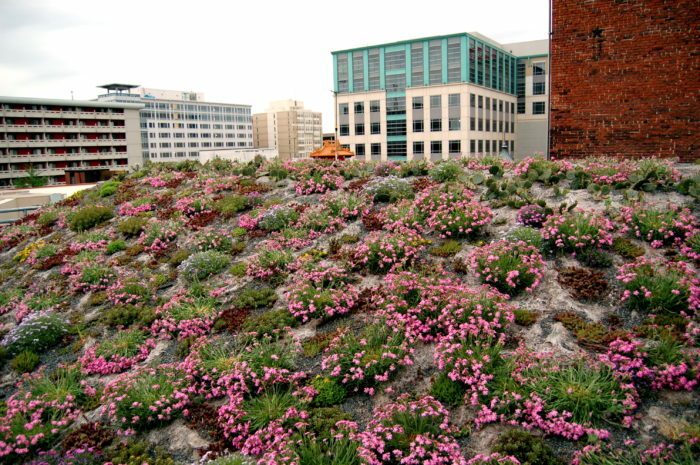 Image Credit: Department of Energy and Environment A sloped portion of the roof is planted with wild pink, a plant native to the Washington area. 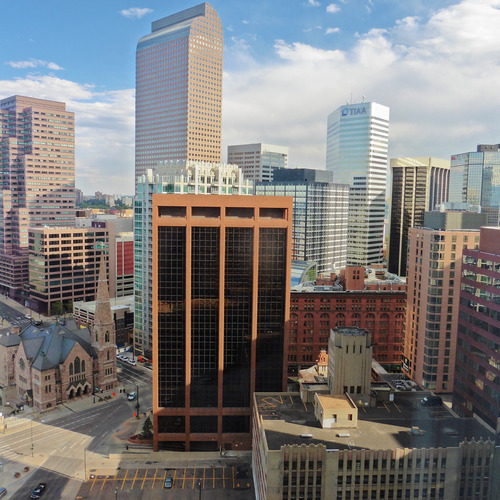 Denver, Toronto, and San Francisco all have laws on the books that require vegetative roofs, and a similar plan has been proposed for New York City, but it was Washington, D.C., that led North American cities in the square footage of vegetative roof coverings installed in 2017. Green Roofs for Healthy Cities (GRHC), a trade group for the green roofing industry, reports that the nation’s capital saw more than 1 million square feet of new vegetative roofing last year. That was enough to allow Washington to retake first place from Toronto in the annual survey of GRHC member companies. Following Washington were Newark, New Jersey; New York City; Seattle; Portland, Oregon; and Toronto. In a GRHC news release, Tommy Wells, the director of the District of Columbia Department of Energy and Environment, attributed the green roofing boom there to several municipal programs, including rebates for vegetative roofs and Stormwater Retention Credit trading, a program designed to reduce stormwater runoff. The city offers rebates of $10-$15 per square foot for voluntary installations, with the specific amount depending on whether the project is located in an area served by the combined sewer system or the municipal storm sewer system. 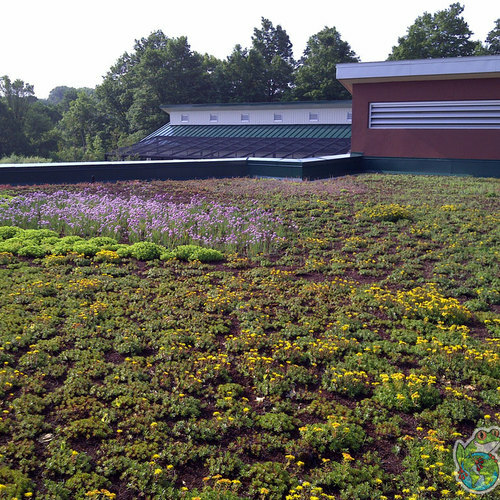 There are now more than 3 million square feet of green roofing in the District. GRHC founder and president Steven Peck said that a program called the Living Architecture Performance Tool is making it easier for cities to promote green roofs by removing policy and performance barriers. In New York, three members of the City Council have proposed several bills that would require nearly all new buildings to have greenery, solar panels, or small wind turbines covering at least half the roof, amNewYork reports. 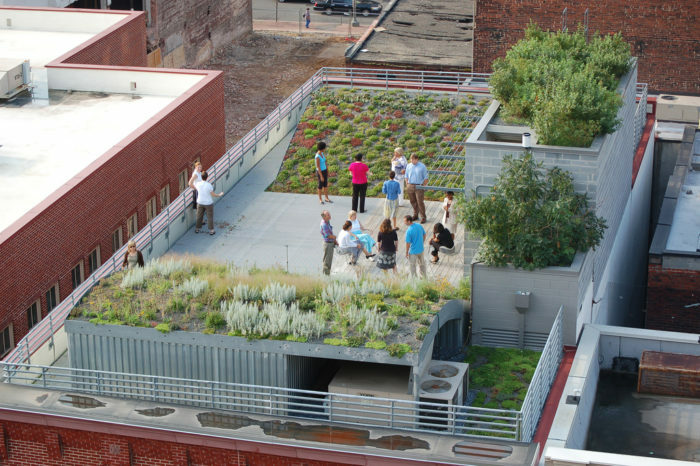 Brooklyn Councilman Rafael Espinal Jr. last month proposed requiring green roofs on high-rises, department stores, and storage facilities, while other councilors earlier this year proposed the requirements on other types of buildings, such as homes, schools, and libraries. Espinal said the related measures would, over time, reduce New York’s carbon footprint and help the city do its part to mitigate climate change. 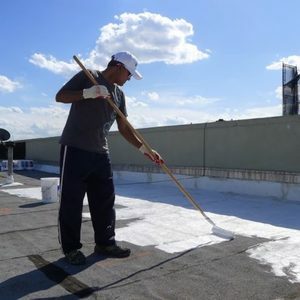 Taken together, the three proposals would ensure that all new buildings in the city — and any building that gets a new roof — would be covered in some way, amNewYork said. The measures were originally introduced during the Council’s previous legislative session but they never came to a vote. In the meantime, other cities have adopted solar and vegetation requirements on new buildings and buildings whose roofs are replaced. However, the Real Estate Board of New York, a trade group, wasn’t impressed. 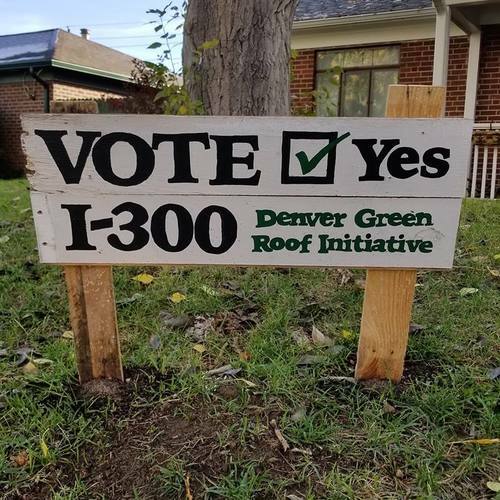 These are arguments raised by business and real estate groups in Denver during the campaign for the green roof citizen initiative last fall. Although the measure was approved, revisions to make the rules more flexible and affordable are in the works after a mandatory six-month waiting period expired.